Why is Bingo Software Important? The answer is simple – knowing what bingo software is used by a specific bingo room lets you know what to expect from it. These days, the industry is full of software providers offering their platforms to operators, but surely not all of them will fit your playing preferences. That is why before downloading, depositing and playing, players should first investigate which house provided software to the bingo room of their interest. In addition, by knowing the type of software, players will be informed about the quality of service and games offered by the bingo room, since software providers are the ones that make sure everything runs smoothly on their licensees’ sites. Below you will find an extensive list of software houses whose offering is known in the industry as exceptional. Apart from their logos, names and the number of bingo rooms that support their software, you will also find a button that will lead you to a thorough review of the particular software house, which may help you choose the one(s) that will fit your demands. 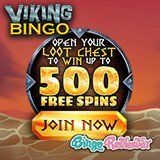 When it comes to selecting online bingo software, there are different aspects one can refer to in order to make the right choice. Hence, it is important to know what kinds of games it offers and their quality, the ways of installing the software, whether it holds any certificates by renowned testing and licensing authorities, and how many languages/banking options/currencies it supports. Different software houses offer different games for a variety of reasons. First, due to their target demographics – for example, 90-ball bingo is particularly popular in the UK and other parts of Europe and Australia, whereas the original version of bingo, 75-ball bingo is deeply rooted in the US. Then, another factor is variety, which always attracts players, so many software houses introduced fast-paced 80-ball bingo and 30-ball bingo to their offering. 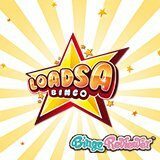 For the same reason of variety, apart from constantly developing new games, many software providers include their other games into bingo offering, such as (mini) casino games. 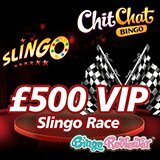 Another thing worth noting is the quality of graphics and how the layout of a specific bingo room appeals to your senses, as well as the quality of the software’s chat facilities, as they are an important socializing factor of bingo. In terms of installation procedures, those can also vary from one software provider to another. A majority of them requires downloading, but there is an increasing number of those that can be played instantly, as they support Java script or flash technology. Another thing that may vary from one software provider to another is the number of languages, currencies and banking options they support. Languages, of course, depend on their target market, as well as currencies. But banking options should be numerous in any case, so as to provide players from throughout the world with enough choice. Players should strive to find a software house that displays and prides itself on its number of certificates from gaming authorities and testing auditors. A good software house will monitor transactions, keep good player records, and implement security tools such as fraud prevention and encryption of banking transactions in order to provide the safest possible environment for players. Also, since bingo software implements a random number generator (RNG), virtually all software houses have passed a testing of their RNG in order to obtain a certificate that guarantees its quality and fairness.